If you’re looking for the white russian drink recipe, you can either watch the video below for a step-by-step tutorial, or simply scroll below the video to see the list of ingredients. The movie and cult classic, The Big Lebowski brought back the popularity of the White Russian drink and now it’s become a must-know for bartenders. 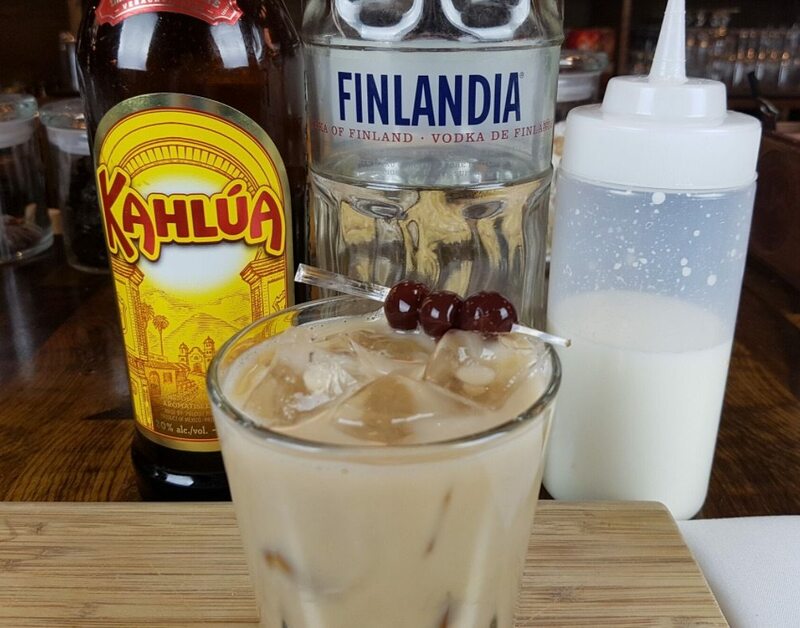 Even if you’re not big on mixing milk with your alcohol, you won’t be disappointed if you try a White Russian. And, if you simply won’t budge on the milk issue, leave it out and try a Black Russian – the same as a White Russian just minus the milk. Some bars make their White Russian Drinks with cream and some simply use milk. Either way, its a tasty alternative to your standard mixed drinks. You can check out our other Video Tutorials pages on how to make popular drink recipes like the Cosmopolitan, Blue Hawaiian, Kamikaze, Hurricane, and the Bloody Caesar. Hi there! 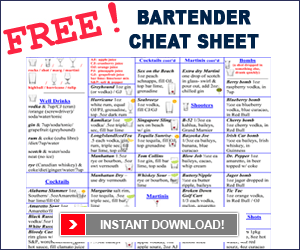 Reese Richards here from BarsandBartending.com with a bartending tutorial. We’re going to mix drinks and we’re going to make a White Russian. So we start up with a rocks glass. And, we fill it up with ice. And, we need one ounce of vodka. And, we need half ounce Kahlua. And, we then fill it up with milk. And a merrichino cherry. And a couple of straws. And there you have, our White Russian.